If you’ve been searching for an organic conditioner, then welcome to your new favorite list (bookmark it now and thank us later)! To create this list of top organic conditioners, we began our research with over 200 “natural” products. In the end, only 17 conditioning products met our standards. 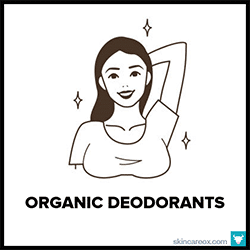 In order to make it onto this list, each organic conditioner had to meet the following standards: 1) MUST actually contain organic ingredients 2) MUST NOT contain sulfates, parabens, phthalates, formaldehydes, oxybenzone, ethoxylated ingredients, polysorbates, phenoxyethanol, petrochemicals, triclosan, TEA/DEA, synthetic fragrances and colors, and anything else from our list of Bad Ingredients Commonly Found in Conditioners and 3) MUST primarily consist of all-natural ingredients. 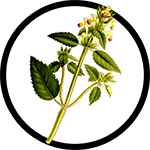 Additionally, all ingredients are thoroughly researched and checked against the Environmental Working Group’s Skin Deep® Cosmetics Database to ensure that they are safe. Making the switch to an organic conditioner may take a little patience on your part. Conventional conditioners are packed with silicones and waxes. These compounds coat your hair in a plastic-like substance which gives the false appearance of being silky and slippery. Natural conditioners, on the other hand, rely on vegetable oils, vitamins, and other Great Organic Conditioner Ingredients to replenish hair from the inside out. Until you fully remove the unnatural residues left over from conventional products your hair may actually feel drier and more tangled when using an organic conditioner. To remove this build-up fast, you’ll need to conduct a simple apple cider vinegar hair detox. 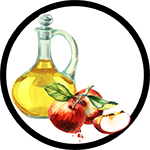 All you have to do is mix ¼ cup organic apple cider vinegar into 2 cups of water and thoroughly rinse your hair with this solution once per week. This will help to eliminate any residual grime left over from conventional hair products. Looking for a great shampoo to go along with your new organic conditioner? 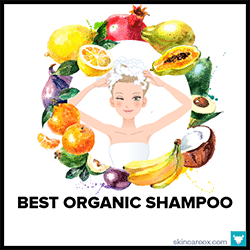 Then check out our list of the 20 Best Organic Shampoos That Are Actually Non-Toxic. Sadly, many of the brands on our list of the best organic shampoos did not make it onto this list of the top conditioners. Why? Because they didn’t meet our ingredient standards. A brand may use totally non-toxic ingredients in one product and then turn around and use not-so-great ingredients in another product. This is why it is so important to read every ingredient label instead of putting your trust in a brand name. Need a little help selecting the best organic conditioner for your hair type? Then, try our Ox Box! It’s a seasonal subscription box filled with the best organic skin care products hand-picked for your specific skin type and skin conditions. Another fantastic all-natural, sulfate-free, and organic conditioner from 100% Pure. This conditioner is designed to drench your hair in ultra-hydrating ingredients like coconut oil, cucumbers, chamomile, argan oil, and hyaluronic acid to add an almost instantaneous boost of moisture. Fans of 100% Pure love to use this conditioner as a daily treatment because it doesn't weigh hair down. As a bonus, it also has an intoxicating citrus smell. This truly potent USDA certified organic deep conditioning treatment works like a charm for curly and ultra-dry hair. To use, you simply heat the packet up to temperature (the instructions call for a microwave, but we used a cup of hot water instead) and then apply the yummy formula to your hair. Leave on for at least 20 minutes (overnight works best) and rinse. Made with coconut oil, biotin, horsetail, hibiscus, green tea, and coconut butter. Fragrance free and made with all-natural + 16 certified organic ingredients, this organic conditioner is ideal for those with exceptionally sensitive scalps. It does a great job of moisturizing without leaving any residue behind, yet it leaves hair feeling ultra-soft. Great for daily use and can even be used as a light leave-in conditioner. 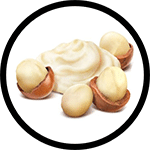 Some notable ingredients include macadamia nut oil, jojoba oil, aloe vera, marshmallow root, and comfrey. This USDA Certified Organic hair creme conditioner is actually best used as a light leave-in treatment after shampooing and towel drying. It is packed with nourishing, yet light ingredients like coconut, jojoba, avocado, hemp, and lavender oils. A little goes a long way, so simply comb a pump or two through slightly damp hair. The result is super manageable, soft, and de-frizzed hair. We found that this creme really reduces blow-drying time. Sometimes the best conditioners are the simplest. 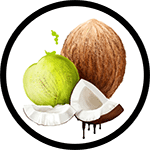 Pure coconut oil is a popular hair conditioner because it is packed with fatty acids and vitamins which strengthen the hair and follicles. It is also completely pure and non-irritating. In fact, coconut oil is packed with antibacterial and anti-fungal properties which can soothe many scalp conditions. This pure coconut oil from Sky Organics can be used as a quick hair mask or left on overnight. This nutrient-rich organic conditioner does all of the things that you'd want a good conditioner to do: detangles, smooths, softens, hydrates, and encourages hair growth all with completely natural and organic ingredients. Customers rave that this conditioner really does make their hair look and feel fuller after just a few uses. Key hair boosting ingredients include biotin, apple cider vinegar, green tea, coconut oil, turmeric, and argan oil. Josh Rosebrook products are always impressive, and this organic conditioner is no exception. The Balance conditioner is designed to add volume and moisture to normal/oily hair types. This formula is almost entirely organic + wildcrafted. Star certified organic ingredients include aloe, coconut oil, meadowfoam seed oil, shea butter, nettles, rosehips, ginseng, burdock, horsetail, peppermint, and rosemary leaf. What more does your hair need? An organic conditioner that some customers call a "magic potion." This rather unique botanical formula is unlike anything you've seen in a conditioner before. The main active ingredients are blue tansy, yarrow, chamomile, spirulina, and bladderwack seaweed. These compounds work together to clarify and calm irritated, dry, and flaky scalps. For curly hair, it is best if you shampoo lightly after using this conditioner to make combing easier. A nice lightweight conditioner suited for all hair types. It adds just the right amount of shine and hydration without weighing hair down or making it oily (perfect for curly hair types). Works great as a detangler and leaves hair feeling silky, smooth, and easy to run your fingers through. Best of all, it is made without any sulfates, synthetic fragrances, or harsh detergents. Features organic aloe juice, yuzu fruit, coconut oil, and avocado. This conditioner is so pure that it may actually take some getting used to. The USDA certified organic formula is made with ingredients designed to balance your hair's pH and add natural moisture that may have been stripped away from conventional hair products. It is very light and acts as a very mild conditioning rinse instead of a deep conditioning treatment. This conditioner is certainly an economical choice given the ingredient quality. A lovely blend of luxurious and organic ingredients like moringa seed oil, olive oil, vitamin B5, geranium oil, and sage which work to add moisture, shine (a lot of shine! ), and volume. Clarifying ingredients like apple cider vinegar, rosemary, and nettles help to soothe the scalp and balance pH. The formula is quite light and works better as a leave-in conditioner for extremely dry (or curly) hair types. Leaves a nice herbal scent behind. Eliminate dry, itchy, irritated, and dandruff ridden scalp conditions with this healing organic conditioner. Harsh chemicals can strip your hair and scalp of healthy oils leaving your scalp irritated and thirsty. This organic conditioner is made with totally natural and organic ingredients that won't wash away beneficial oils. Ingredients like neem, thyme, rosemary, and nettles all work to soothe and replenish even the most sensitive scalps. An ideal organic conditioner for those with very dry, damaged, or brittle hair. Coconut oil and honey are the star ingredients, but it also contains lots of hair strengthening compounds such a vitamin B-5, nettle, avocado butter, kelp, rosemary, and certified organic aloe leaf juice. These ingredients work together to transform dry hair into a soft, easy to comb, and shiny mane. Best if paired with 100% Pure's companion Honey & Coconut Shampoo. This organic conditioner formula from Josh Rosebrook is designed for drier hair textures in need of serious deep conditioning. The combination of certified organic oils, fatty acids, herbs, and vitamins work together to restore moisture to even the driest hair types. This formula contains certified organic vegetable glycerin, coconut oil, shea butter, horsetail, nettles, olive oil, cinnamon, peppermint, lavender, burdock, thyme, and calendula. We had never heard of Living Libations before trying this conditioner and we were quite skeptical given the high price tag; however, it didn't take long for us to become super fans. This completely organic and botanical conditioner has the power to make your hair slippery, soft, and detangled after just one use. It is made with softening ingredients like jojoba, aloe, rosewater, and scalp healing ingredients like apple cider vinegar and rosemary. Sometimes, the secret to big voluminous hair is as simple as removing any residue that may be weighing your hair down. This minty organic conditioner helps to hydrate and smooth your hair without adding any gunk to weigh it down. The result is effortlessly bouncy and shiny hair. It is made with certified organic aloe vera juice as well as rose water, peppermint, kelp, calendula, honeysuckle, rosemary leaf, neem, and lavender oil (to name a few). This 100% natural and plant-based conditioner from LoveFresh (a Toronto boutique brand) is packed with organic ingredients. Designed for those with damaged and color-treated hair, this formula adds hydration without removing any natural oils or color pigmentation. It has an herbal scent and a refreshing minty feel. Yummy organic ingredients include rosemary, lavender, horsetail, sage, nettle, jojoba oil, hemp seed oil, and aloe leaf juice. There are many fantastic organic and all-natural ingredients that can do wonders for hair growth, volume, shine, and moisture. 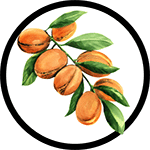 The ingredients below are just a few of our favorites and this list is by no means exhaustive. Can help your hair grow by adding moisture and reducing scalp irritation; thus, creating a healthy environment for hair growth. Can also minimize damaged, dry, and split hair leading to healthier strands and longer hair. A great natural moisturizer and conditioner that helps to soften hair, reduce dryness, and add shine. 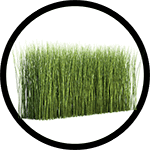 A plant rich in minerals like selenium and silica/silicon which strengthens hair follicles, promotes the structural integrity of the follicle, and can help your hair grow over time. 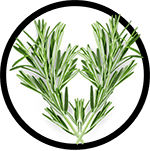 Rosemary oil and rosemary leaf extract can help to treat dandruff, dry/itchy scalps, and help to prevent hair loss. A gentle ingredient which cleanses the scalp and helps to remove dirt, oil, and product residue that may be weighing our hair down. Works to remove dirt, oil, and dead skin cells from our hair follicles which may be inhibiting the absorption of nutrients needed for hair growth. 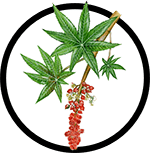 Castor oil is also a potent antibacterial. Rich in antioxidants and fatty acids which can condition your hair, help your hair to grow, and treat bacterial infections of the scalp. 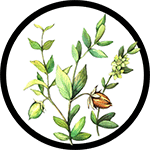 Jojoba oil is actually a wax which mimics the consistency of our natural sebum. Using products with jojoba oil can help to rebalance our scalp’s oil production and treat overly oil or overly dry scalp conditions. A plant that is bursting with vitamins, minerals, proteins, and chlorophyll which all have the potential to slow or prevent hair loss. Not all alcohols are bad for your hair. Plant-derived fatty alcohols (such as cetyl, stearyl, and cetearyl alcohols) actually help to keep hair hydrated, smooth, and soft. 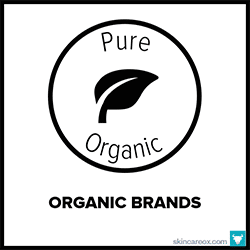 Just because a product is marketed as organic, doesn’t mean that it is non-toxic. 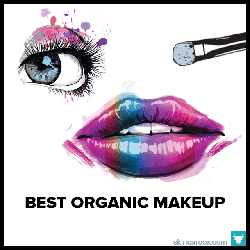 We’ve seen thousands of products that contain both harmful ingredients and organic ingredients. This is why it is more important than ever that consumers take charge and investigate the ingredients in their personal care products. From potentially cancer-causing to highly irritating ingredients, we’ve seen it all on the labels of products that are supposedly safe and non-toxic. 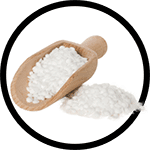 If you notice an ingredient on a label that you are not familiar with, simply pop the ingredient name into a search engine and do a little research. You’ll be surprised how fast and easy it is to find great information on just about any ingredient in the world. Below, you will find some of the bad ingredients that we look for when reviewing a product. Unfortunately, we found many of these ingredients in highly-rated “organic” and “all-natural” conditioner products. Note: only some of the ingredients below are considered toxic to human health—many of them are simply harsh, highly irritating, and should be avoided in your personal care routine. Am seeking organic hair products which are excellent moisturizers for naturally curly hair and skin due to living in a very dry climate.